First flight of Russia's next-generation fighter is due tomorrow. 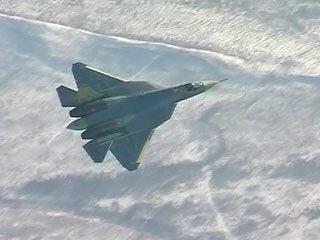 Sukhoi has managed to keep the PAK-FA, as the aircraft has been designated, out of sight of the general public. And while several design concept drawings have been around, nothing really credible comes to mind. Tomorrow should show us how far Sukhoi really has gone to try address the fighter's radar signature. The PAK-FA is being billed as a fifth generation fighter. Whether it really is, in terms of sensor fusion and other features beyond the stealth characteristics that may be ascertained by looking at the outer mold lines may take a bit longer to figure out. With luck and some good weather, we can look forward to a lively Ares discussion tomorrow about what Sukhoi is putting in the air. non esistono foto per il momento? ...caccia russo di quinta generazione...che figata!! 87Nemesis87 ha scritto: non esistono foto per il momento? ..... caccia russo di quinta generazione ..... che figata!! Russia’s fifth generation fighter, Sukhoi’s T-50 prototype, was flown for the first time from Komsomolsk-on-Amur on Russia’s Far East at 11.19 local time on Friday, January 29. After the 47 minutes flight the aircraft landed at the airfield of Sukhoi’s KnAAPO facility which assembles PAK FA prototypes. The T-50 is intended to meet the Russian air force’s PAK FA requirement for a next-generation fighter. The first prototype was flown by Sukhoi test pilot Sergey Bogdan. He says it was easy and comfortable to control, and the aircraft performed well on all stages of the flight test program. “During the flight we have conducted the initial evaluation of the aircraft’s controls, performance of the engine and main systems. The aircraft also retrieved and extracted a landing gear”, said Bogdan. Sukhoi started the development of PAK FA in the early 2000s. 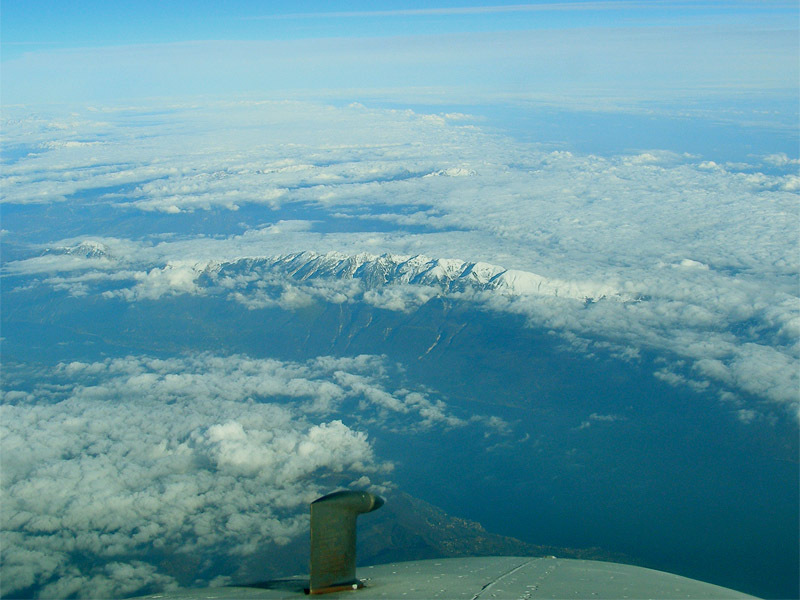 The first flight was initially scheduled for mid-2009. Three prototypes one of which was delivered to Moscow and is being used for static tests. In December another PAK FA prototype started taxi trials at KnAAPO facility. The third aircraft is believed to be used as a complex full-scale stand intended for ground testing. 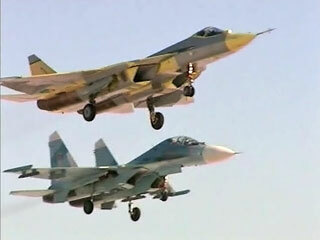 Sukhoi doesn’t reveal technical parameters of the new fighter. Nevertheless it’s known that PAK FA prototypes will be powered by a pair of NPO Saturn 117S engines. These engines, a further modification of AL-31F, rated at up to 14.5 ton thrust are now also installed at the new Su-35 multirole fighters. The T-50’s avionics suite is being developed by Ramenskoe Design Bureau. The company’s head Givi Djanjgava earlier explained that the suite includes six-processor computer, visualization tools and flight instrument system. According to Sukhoi, PAK FA avionics integrates ‘electronic pilot” function and AESA radar being developed by Tikhomorov NIIP design bureau. NIIP’s full-scale phased array antenna was unveiled at Moscow MAKS in August 2009. At that time Anatoly Sinany, Tikhomirov’s chief designer, explained that T-50’s radar antenna will have 1,500 T/R modules, produced by Iztok company from Fryazino, near Moscow. The new avionics will give T-50 network-centric capabilities, enable it to exchange real-time data within the air group and with ground command posts. 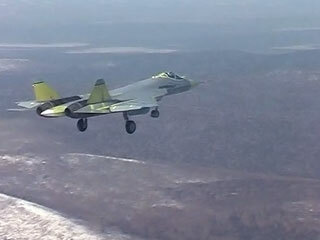 But the first PAK FA prototype is likely to fly without radar as it’s just passing bench tests. The first radar for the aircraft is expected to be ready in mid-2010. Sukhoi also reports that the new fighter implies composite materials and innovation technologies that together with the aerodynamic shape of the fuselage and reduced engine’s signature ensure its low radar, optical and IR visibility. The new aircraft is expected to enter in service in 2015 and will be supplied to the Russian Air Force along with Su-35 fighters. Commenting the start of PAK FA flight trials, Sukhoi head Mikhail Pogosyan also mentioned that India will join the program on later stages. 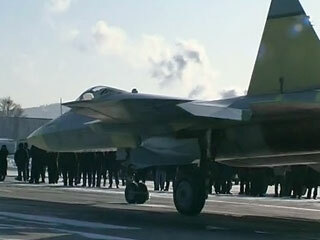 Today Komsomolsk-on-Amur witnessed the debut flight of a prototype of advanced fighter of the 5th generation. The aircraft piloted by Sukhoi test-pilot Sergey Bogdan spent 47 minutes in the air and successfully landed on the factory runway. The flight went successfully meeting all task assigned. “In the course of the flight we’ve conducted initial evaluation of the aircraft controllability, engine performance and primary systems operation, the aircraft had retracted and extracted the landing gear. The aircraft performed excellently at all flight-test points scheduled for today. It is easy and comfortable to pilot”, - said Sergey Bogdan. Compared to the previous generation fighters PAK FA possesses a number of unique features combining the functionality of both attack aircraft and fighter plane. The 5th generation fighter is equipped with brand-new avionics suite integrating “electronic pilot” functionality, as well as advanced phased-array antenna radar. This significantly decreases pilot load and allows him to focus upon completion of tactical missions. New aircraft on-board equipment allows real-time data exchange not only with ground based control systems, but also within the flight group. Composites application and innovative technologies, aerodynamics of the aircraft, measures applied to decrease the engine signature provide for the unprecedented small radar cross section in radar, optical and infrared range. This significantly improves combat effectiveness against air and ground targets at any time of the day in both visible and instrument meteorological conditions. 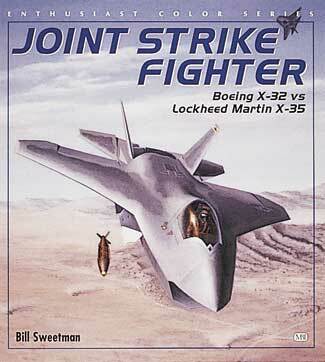 “Today we’ve embarked on an extensive flight test programme of the 5th generation fighter. This is a great success of both Russian science and design school. This achievement rests upon a cooperation team comprised of more than a hundred of our suppliers and strategic partners. PAK FA programme advances Russian aeronautics together with allied industries to an entirely new technological level. These aircraft, together with upgraded 4th generation fighters will define Russian Air Force potential for the next decades. Sukhoi plans to further elaborate on the PAK FA programme which will involve our Indian partners. I am strongly convinced that our joint project will excel its Western rivals in cost-effectiveness and will not only allow strengthening the defense power of Russian and Indian Air Forces, but also gain a significant share of the world market”, - said Mikhail Pogosyan, Sukhoi Company Director General commenting on the launch of the flight test programme. bellissimo! !....esteticamente sembra un incrocio tra un Raptor e un F-35....davvero bello! ...quindi immagino sarà stealth anche questo no? 87Nemesis87 ha scritto: non esistono foto per il momento? ...caccia russo di quinta generazione...che figata!! Di sesta generazione vorrai dire. Siamo felici di avere con noi anche la VVS dell'odierna Federazione russa: dopo vent'anni esatti pare che anche loro hanno anche il caccia stealth ... Finalement! "Find a job you like and and you'll not have to work a single day in your life". In effetti sembra un rullaggio veloce... Penso anch'io che assomigli molto allo YF-23! E intanto l'Europa sta a guardare... Con indecisioni paradossali sul programma Eurofighter per quel che concerne la T3, e sull'inserimento in linea di un cacciabombardiere stealth ( più bombardiere che caccia a quanto sembra)! Mah!! Ho pianto, ho riso... Ho fatto scelte sbagliate, altre giuste... Sono amico di molti, voglio bene a pochi, non odio nessuno... Parlo poco ma dico sempre quello che penso... Qualcuno mi vuole bene, altri mi detestano... Pazienza è la vita! Sukhoi has conducted the first flight of its prototype PAK FA fifth-generation fighter, with the aircraft having conducted a 47min sortie this morning. Flown from KnAAPO’s Komsomolsk-on-Amur site, the PAK FA was piloted by Sergei Bogdan, and “performed excellently”, says Sukhoi. “In the course of the flight we conducted initial evaluation of the aircraft controllability, engine performance and primary systems operation,” says Bogdan. The aircraft’s landing gear was also retracted and lowered during the first flight. The PAK FA is powered by two NPO Saturn "Item 117" engines, developed from the Item 117S design already flown on Sukhoi’s Su-35 and a Su-27M testbed. The experimental aircraft’s integrated flight control system controls the engines, along with all other major systems. Sukhoi says other key design elements include the use of composite materials, advanced aerodynamic techniques and measures to reduce the aircraft’s engine signature, which it claims results in an “unprecedented small radar cross section in radar, optical and infrared range”. The PAK FA is also equipped with an advanced phased-array antenna radar, it adds. Russia's Tikhomirov NIIP displayed an active electronically scanned array design for the fighter at last year's Moscow MAKS air show. “This is a great success of both Russian science and design school,” says Sukhoi director general Mikhail Pogosyan. “The PAK FA programme advances Russian aeronautics, together with allied industries, to an entirely new technological level. “These [PAK FA] aircraft, together with upgraded fourth-generation fighters, will define Russian air force potential for the next decades,” he adds. The first stage of flight trials involving the PAK FA prototype will last until 2012, when the Russian defence ministry and air force are expected to decide on the future of the project. A production version is expected to be designated the T-50. The new design could also form the basis of a proposed fifth-generation fighter to be produced in collaboration between Russian and Indian companies. “I am strongly convinced that our joint project will excel its Western rivals in cost-effectiveness and will not only allow strengthening the defence power of Russian and Indian air forces, but also gain a significant share of the world market,” says Pogosyan. A few further musings on the Sukhoi T-50. A side shot of the aircraft shows the reduced area all-moving fins. The fins along with being smaller are canted out – as is now near traditional on low observable designs. Along with what appear to be two main weapons bays in the tunnel between the engines the design is believed to have two smaller housings for short-range weapons on the inboard wing. The infra-red search and track housing is also visible. The T-50 - intended to meet the Russian air force’s PAK FA fighter requirement - reflects far greater shaping for signature management than MiG’s 1.44 prototype, though this is hardly surprising given when the basic design for the big MiG was developed in the mid-1980s. The MiG program was cancelled a decade later as Russian defense spending collapsed. Sukhoi faces a considerable challenge if the notional 2015 date if is to be met. The T-50 development isn’t the only combat type now in the flight test program; two Su-35S prototypes are now in flight test, with the aircraft being flown from Zhukovsky. The Su-35S is also being used to develop some of the avionics and systems destined for the PAK FA, though the task that lies ahead for Sukhoi and the wider Russian aerospace industry is significant. Russia’s fifth generation fighter, Sukhoi’s T-50 prototype, was flown for the first time from Komsomolsk-on-Amur on Russia’s Far East at 11.19 local time today. After the 47-minute flight the aircraft landed at the airfield of Sukhoi’s KnAAPO facility, which assembled the PAK FA prototypes. The first prototype was flown by Sukhoi test pilot Sergey Bogdan. He says it was easy and comfortable to control, and the aircraft performed well in all stages of the flight. “During the flight we have conducted the initial evaluation of the aircraft’s controls, performance of the engine and main systems. The aircraft also retracted the landing gear”, said Bogdan. Sukhoi started the development of the PAK FA design around a decade ago. The first flight was initially scheduled for mid-2009. Three prototypes have been built, one of which was delivered to Moscow and is being used for static tests. In December another PAK FA prototype started taxi trials at the KnAAPO facility. The third aircraft is believed to be being used for ground testing. Sukhoi is not discussing the technical characteristics of the T-50. Nevertheless it is known that PAK FA prototypes will be powered by a pair of NPO Saturn 117S engines. These engines, a further modification of AL-31F, rated at up to 14.5 ton thrust are now also installed at the new Su-35 multirole fighters. The T-50’s avionics suite is being developed by Ramenskoye Design Bureau. The company’s head Givi Djanjgava earlier explained that the suite includes six-processor computer, visualization tools and flight instrument system. According to Sukhoi, PAK FA avionics integrates ‘electronic pilot” function and AESA radar being developed by Tikhomirov NIIP design bureau. NIIP’s full-scale phased array antenna was unveiled at the Moscow MAKS air show in August 2009. At that time Anatoly Sinany, Tikhomirov’s chief designer, explained that T-50’s radar antenna will have 1,500 T/R modules, produced by Iztok company from Fryazino, near Moscow. The new avionics will give T-50 network-centric capabilities; enable it to exchange real-time data within the air group and with ground command posts. 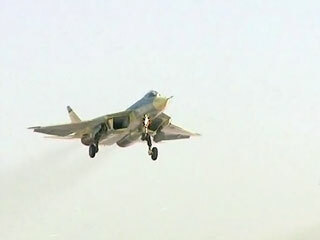 But the first PAK FA prototype is likely to fly without radar as this is just passing bench tests. The first radar for the aircraft is expected to be ready in mid-2010. Sukhoi also says the new fighter uses composite materials and innovative technologies that together with the aerodynamic shape of the fuselage and reduced engine’s signature ensuring its low radar, optical and infrared visibility. The aircraft is expected to enter in service in 2015 and will be supplied to the Russian Air Force along with Su-35 fighters. Commenting the start of PAK FA flight trials, Sukhoi head Mikhail Pogosyan also mentioned that India will join the program on later stages. Sukhoi has posted video on today's first flight of its T-50 prototype of the Russian PAK-FA fifth-generation fighter, from Komsomolsk-on-Amur. The design clearly shows similarities to the Lockheed Martin F-22 - primarily in planform - and the Northrop Grumman/McDonnell Douglas YF-23 - mainly in the forward fuselage and intakes - as well as its lineage to previous Sukhoi designs (the tail sting). There are some interesting features, including the movable wing leading-edge root extensions, just above the inlets, which presumably act like foreplanes. Also the fairings under the inboard wing sections, which are presumed to be short-range missile bays. The small size of the all-moving vertical fins is also notable. Close up, the T-50 is clearly a prototype, with the visible fasteners, protruding air-data probes and the apparent lack of sawtooth edges on panels and doors for stealth. If the intakes are S-ducts then they are not as serpentine as on the F-22 and YF-23 and there appear to be auxiliary inlets on the intake sides. 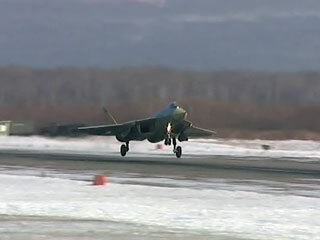 Official Sukhoi video of the Jan. 29, 2010 first flight of the T-50 prototype of the Russian air force's PAK-FA fifth-generation fighter, from Komsomolsk-on-Amur. The stealth fighter - nicknamed by some as the "Flaptor" -shows similarities with both the Lockheed Martin F-22 and the Northrop Grumman/McDonnell Douglas YF-23. Note the two weapons bays under the fuselage, the fairings inder the inboard wing sections, the moveable wing leading-edge root extensions, the small canted all-moving fins and the round engine nozzles. Che figata dici... Mhhhh... Da un punto di vista strettamente aeronautico si... Da uno strategico e geopolitico assolutamente no! Perchè no? Sono vent'anni che gli stanno dietro a st'aereo. Per me, meglio i russi, magari con una bella spinta indiana (dell' India), che i cinesini. Tradizione a parte, non penso che sia un caso che quest'aereo voli a Komsomolsk sull' Amur (già paradiso per deportati), sul fiume che da sempre segna uno dei confini più pericolosi del mondo: Russia - Cina. 1) Ma questo Sukhoi non ha un concorrente, che ne so, un Mig ? 2) Ma che i messaggi non si possono più modificare, o non mi funziona il computer? Per esempio... Gli statunitensi erano sicuramente a conoscenza da diverso tempo di questo roll-out. Perchè hanno interotto la produzione dello F-22? Non sarebbe stato meglio acquisire più Raptor e meno F-35? O che il Lightning2 abbia mirabolanti doti A/A che tengono nascoste? Perchè la vocazione A/S l'hanno definita loro, sia come potenzialità reale che come specifica... Non sono preoccupati perchè sanno qualcosa, che ovviamente non è di dominio pubblico, o perchè sono sprovveduti? Mah! Boh! F-22 con la stella bianca e Su-X T-50, o PAK-FA come cav. si chiama, con la stella rossa, NON si affronteranno MAI. Primo, perchè non ce ne sarebbe bisogno, dato che USA e Federazione russa si affronterebbero direttamente con gli ICBM. Secondo e acnor più importante: russi e americani non si faranno mai la guerra, dato che questo significherebbe la Fine di tutte le cose. "The big question is how long the aircraft will take to enter service, which is a product of three factors - how much money is available, how many resources industry can muster to get the job done, and where the design, technically, stands at this point. The first question depends largely on the Russian economy, and on the priority which the military gives to the fighter. At the moment, the strategic rocket forces are the priority and are elbowing all others away from the trough; also, the military could decide that the Su-35 is a good upgrade route for now. The X-factor: whether and when India will join the program, and how much cash it will involve. " Quando e se qualcuno sgancerà i soldi, mettendo tutto il programma in grado di andare in porto per davvero e di sfornare abbastanza Su-X PAK-FA da equipaggiare diversi reggimenti di linea della VVS, allora anche gli americani prenderanno in considerazione la possibilità di iniziare a frustare la produzione di F-22, MA mica in vista di scontri reali. Solo per dirsi a vicenda: “Tu sai fare caccia di V generazione? Bene, anche io, anzi …”. E’ solo una gara tra livelli tecnologici. Perfettamente concorde sul fatto della sfida tecnologica... Ma oltre a questo, il potere aereo non lo si manifesta solo con le capacità. E' anche la deterrenza che svolge un ruolo di primo piano! 183 esemplari, non fanno deterrenza! O meglio la possono fare se dall'altra parte ci sono solo MiG35 e SU35, non PAK FA! La deterrenza era/è anche la funzione per la quale l'AMI si è dotata in qualche modo del velivolo Tornado, perchè, per le tue argomentazioni, allora per l'Italia bastavano e avanzavano una cinquantina di F-16 per fare polizia aerea... Più o meno come fa l'Austria oggi con una quindicina di EFA T1 in configurazione rigorosamente A/A ravvicinato con una coppia di Iris-T... E poco cambia il contesto di guerra fredda... Se tanto non sarebbero mai entrate in guerra convezionale, perchè ambedue hanno speso una moltitudine di fondi per F-15, F-18, Su27 e Mig29? 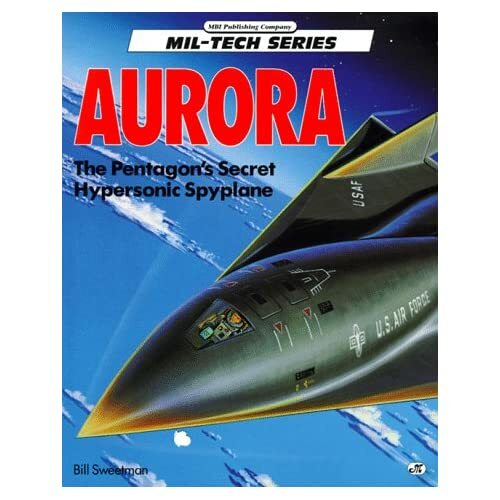 A long-time leading defense and technology writer, Minneapolis-based Bill won worldwide fame as an expert on stealth aircraft. He has written several books on U.S. advanced and "black" programs. Almost Blue ha scritto: Primo, perchè non ce ne sarebbe bisogno, dato che USA e Federazione russa si affronterebbero direttamente con gli ICBM.